Hi and welcome to my personal website. 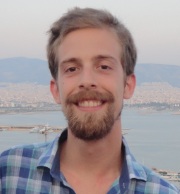 My name is Themistoklis Diamantopoulos and I am currently a post-doctoral researcher at the Intelligent Systems & Software Engineering Labgroup of the Aristotle University of Thessaloniki. In the following there is a little bit about me. I received the Diploma Degree in Electrical and Computer Engineering from the faculty school of Aristotle University of Thessaloniki in 2011, after completing my thesis titled: “Design and Development of Auction Algorithms applied in the PowerTAC Competition”. Moreover, I continued my studies in the University of Edinburgh, where I received my MSc degree in Computer Science. My master thesis concerned the application of Machine Learning techniques (Classification, Reinforcement Learning) in order to develop cooperative techniques that require no prior coordination. My research interests include the areas of Data Mining, Software Engineering, Machine Learning, and Multi-Agent Systems. I have worked as a research associate in the EU-funded project eCOMPASS (eCO-friendly urban Multi-modal route PlAnning Services for mobile uSers) as part of my work in the Informatics and Telematics Institute (ITI) of Centre for Research and Technology - Hellas (CERTH). After that, I worked as a research associate in the EU-funded projects S-CASE (Scaffolding Scalable Software Services) and SEAF (Sustainable Energy Asset Evaluation and Optimisation Framework). In the meantime, I have completed my PhD research in the field of applying Data Mining techniques on Software Engineering data at the Aristotle University of Thessaloniki. Currently I work on my research in the university, while also testing my ideas at the market through my position as a Reusability Expert in the newly-founded company Cyclopt.